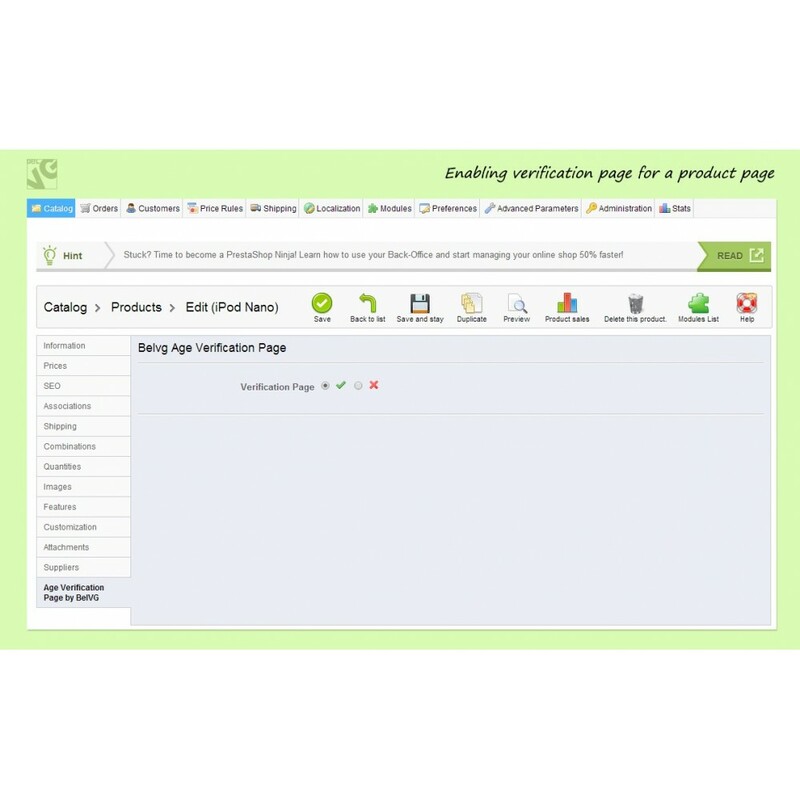 The Age Verification Page is a Prestashop module that allows for a special age verification window on your store. Customers, who visit your website for the first time, will be prompted to pass a simple verification to confirm that they have reached the required age to be able to view the website content. Age verification is a necessary measure for websites, which may contain explicit content that is allowed to view for adults only. For such sites we have developed a special module which prompts visitors with a popup where they have to confirm that they have come of age to be able to access the content of the site. The main advantage of this module is that it is very flexible: with this extension you can apply the verification process either to some specific page or just for the whole site. Moreover, the module gives you an option to upload any logo and supply it with any text you want! Apply verification window either for the whole website or for a specific page only.